Many of today's popular SSDs are available in a 2.5" form factor. While this is ideal for upgrading notebook computers, most desktop computers only accommodate the larger 3.5" form factor. 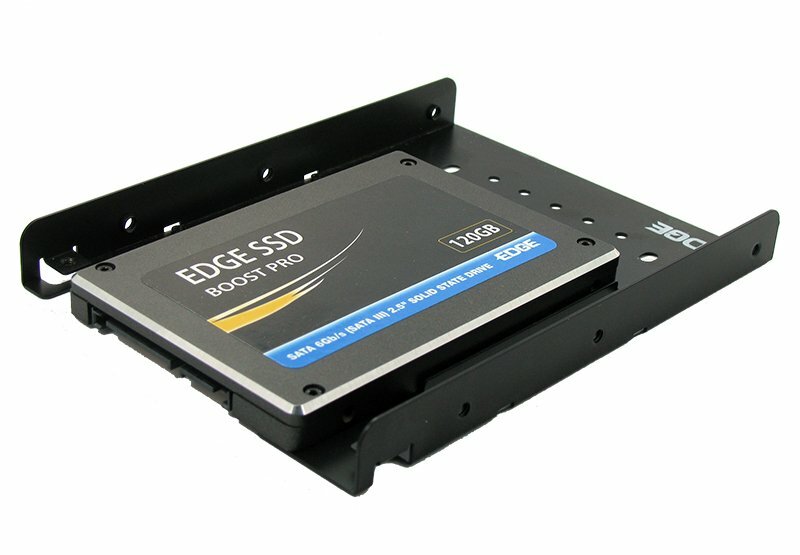 The EDGE SSD Upgrade Kit for Desktop converts a 2.5" SSD into a 3.5" SSD, making it easy to install into a desktop computer. Simply screw a 2.5" SSD into the bottom of the supplied installation bracket. 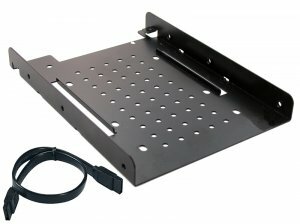 When finished, the side and bottom mounting holes of the bracket line up perfectly with that of a 3.5" drive, allowing for installation into desktop drive bays previously not possible. The bracket is made from durable SPCC steel and comes in a sleek, black finish. Ventilation holes on the bottom of the bracket provide extra cooling to the drive. 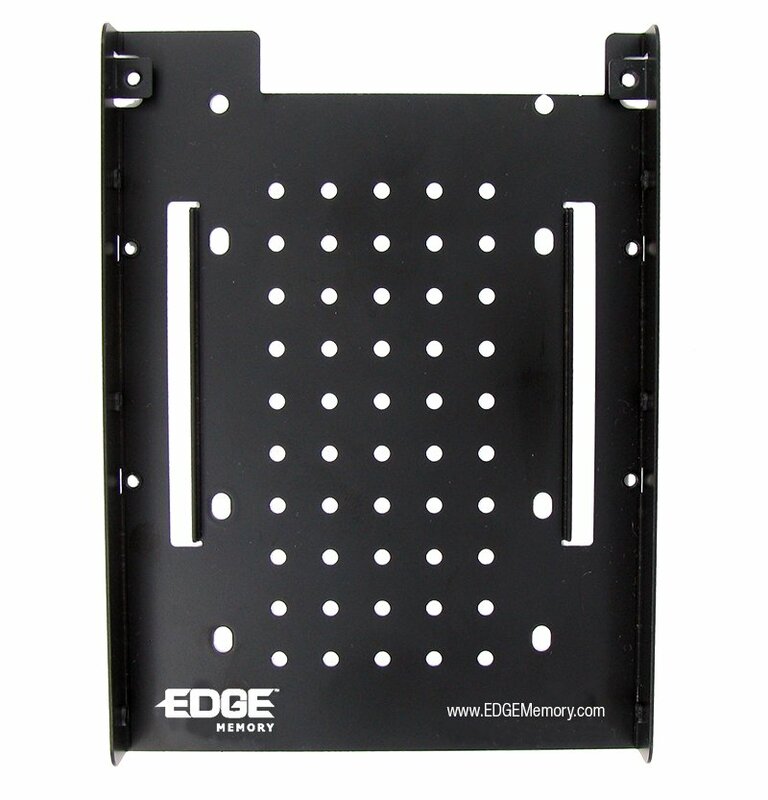 All needed mounting screws are included, as well as a SATA 6Gb/s data cable to ensure you have what you need to install your new drive. 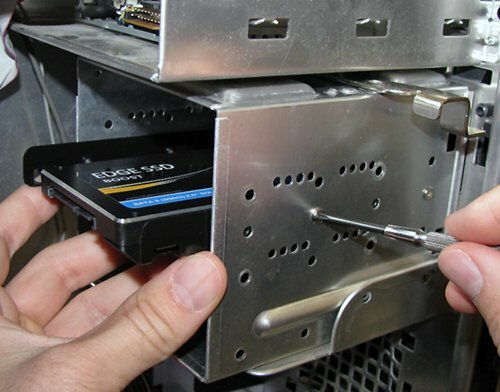 Ensure a perfect fit - make the EDGE SSD Upgrade Kit for Desktop a part of your SSD upgrade project.